Dominos Offering Rs. 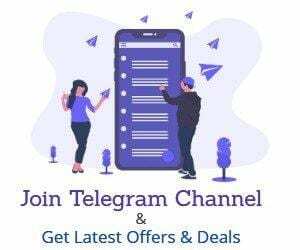 200 Voucher Free of Cost . 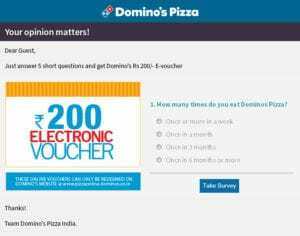 Just Fill a survey and get free Rs 200 dominos voucher .this offer is valid for limited time period . First Go to Survey Page . Fill Up Answers of 5 Questions. You will Redirected to Success Screen.